Discover a new kind of holiday cheer with our Kratom Holiday Blend. Revitalize your spirit with this perfectly cultivated blend of classic Red Vein Kali with the invigorating aromas of our Green Vein Kali. 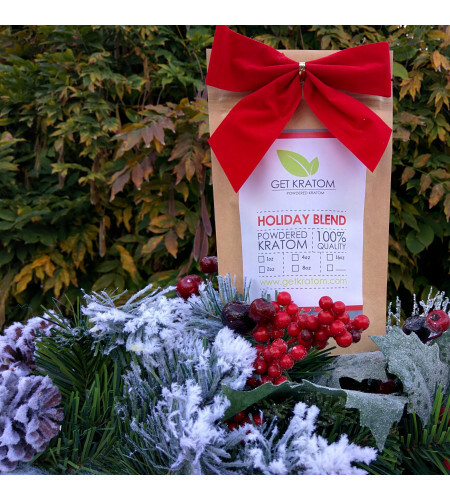 Tis' the season to energize yourself and power through the holidays with this festive pairing, available for a limited time exclusively at Get Kratom.